I hope you are doing great and you are ready to enter our new challenge at Inspiration Destination. As always, the theme is Anything goes so you can enter any project and participate. For the challenge I have this shaker card. For a change I used a yellow card base. 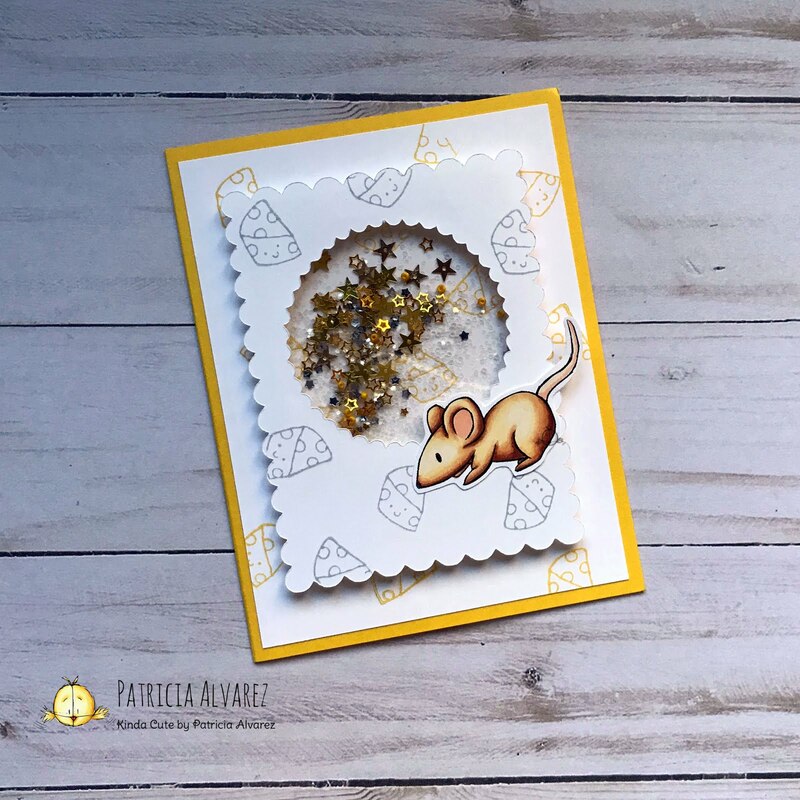 I had this cute stamp from studio G with a cheese and I thought it was super cute for the image (I am using Mice set digital stamp). The saker was made with different elements all yellow or gold but the white glitter. I don't know why I don't make shakers more often because they are super fun. I guess I usually go for the CAS cards because they are easier and, sometimes, faster. I am very busy and I don't have too much time to play around making cards lately. I hope you like the card and you participate in our challenge. Love this card! I remember seeing it on Facebook and it's just as cute the second time around! I love shakers and this one is so unique and cute... great card!